For the last few days all I’ve wanted is cake. Fluffy, buttery cake with frosting. Loaded with sugar and sweetness and perfect for undoing any hard work at the gym but worth it because it is just so satisfying. 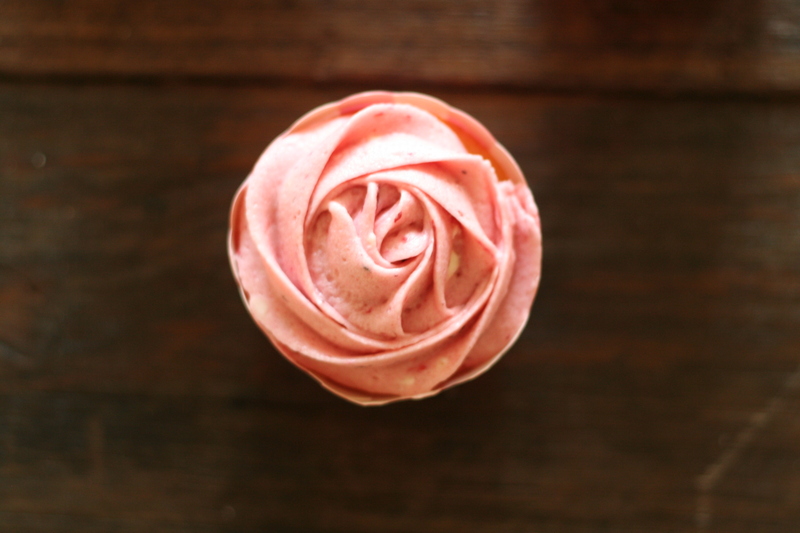 Rather than give in and buy one of those overpriced individual cupcakes from a bakery I whipped up this super simple recipe that makes about thirty cupcakes instead. Seemed like a good idea at the time but now I have to stop myself eating them all! I’ve always found it tricky to find that perfect vanilla buttercake that is light and fluffy but still has a crumbly texture – you know, the one that pairs well with anything. Usually I find they’re just too dense or don’t rise enough which is incredibly frustrating. This recipe however lives up to its promises. 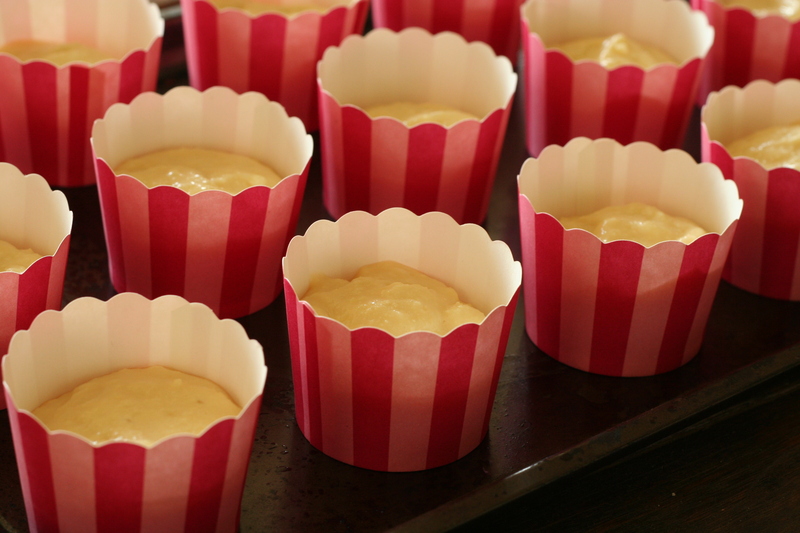 The addition of buttermilk gives a light creaminess while the cornflour makes for an awesome texture. You could pair the cake base with pretty much anything but I went with a classic berry buttercream for a bit of tartness and colour. If you really hate seeds in your berries you can sieve them out before adding to your mixture but I really don’t feel it’s worth the trouble. 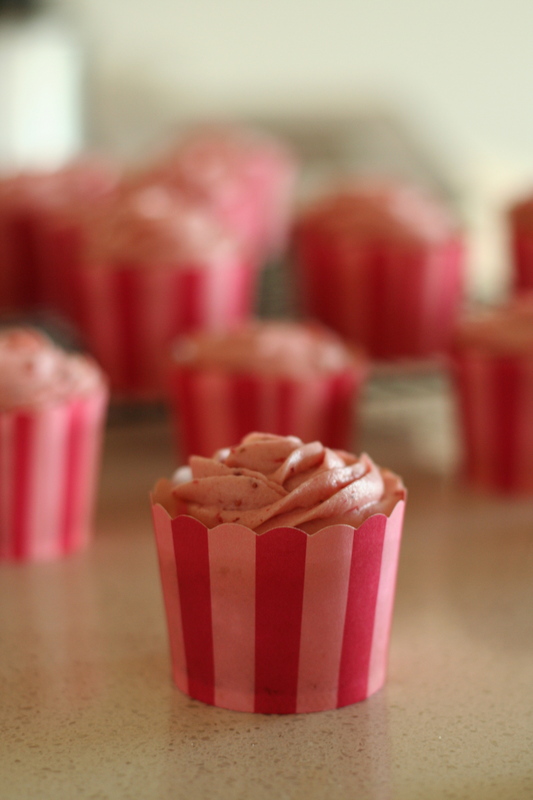 Plus the seeds look pretty in the frosting! If you wanted to make a large cake instead of cupcakes that could easily be done, just increase the baking time by about 10 minutes. Preheat your oven to 180° and prepare your baking cases. In a bowl sift together the flour, cornflour, baking powder, baking soda and salt and set aside. Cream together the butter and sugar until light and fluffy. Add the vanilla and mix through. Add the eggs one at a time mixing well after each addition. Stir through the buttermilk until well mixed, the mixture may look curdled at this stage. Mix through small amounts of the dry ingredients at a time until just mixed. Spoon into cases and bake for 20 minutes or until golden. Puree the frozen berries until smooth. If desired you can pass through a sieve to remove the seeds. Mix the butter until light and fluffy in a large bowl then slowly mix in the icing sugar until well mixed. I love your recipes, particularly this one as I have all the ingredients in the pantry already. So, once I’ve cooled down from Wimbledon, I am definitely giving these little beauties a whirl! Your photography is amazing– makes everything look delicious!! I so agree that finding the right vanilla buttercake is a challenge! So I am forever trying new ones. 🙂 I am definitely putting this recipe on the “Try Soon” list! This will sound silly, but I have never flavored my butter cream frosting with anything but vanilla. Berry flavored sounds wonderful! I will be giving that a try too! Thanks! I love the promises of fluffiness! Do you find the cornflour a critical ingredient for that light texture? I have made other recipes that don’t use cornflour and found similar results but these do seem to be lighter than most. 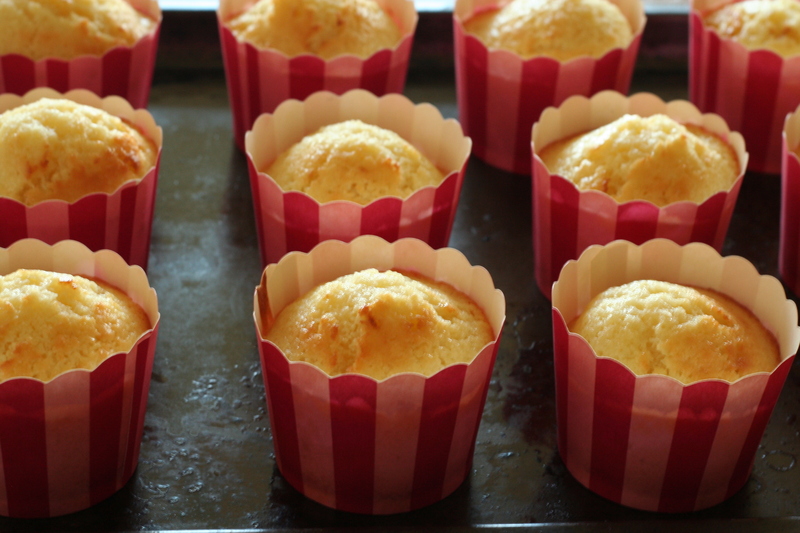 I’d also recommend really beating the butter and sugar well to make them super light. 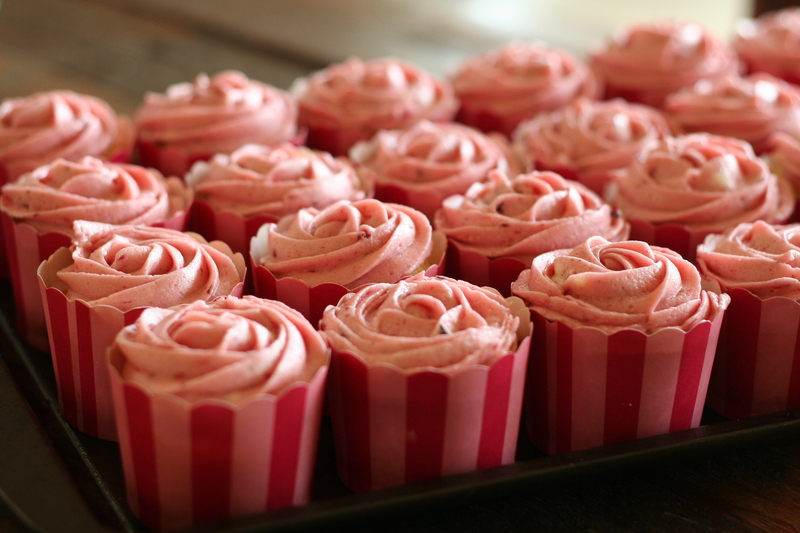 Gorgeous cupcakes…pauses to wipe drool off keyboard. 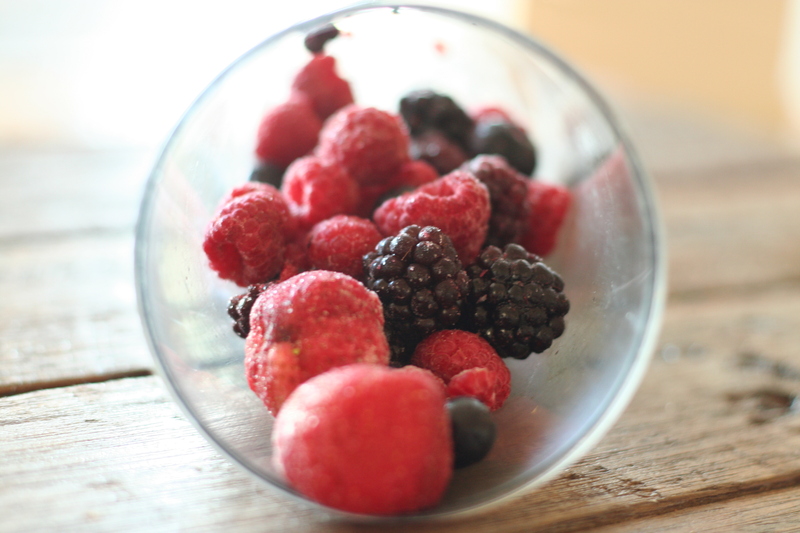 Berries are a wonderful idea for winter too. 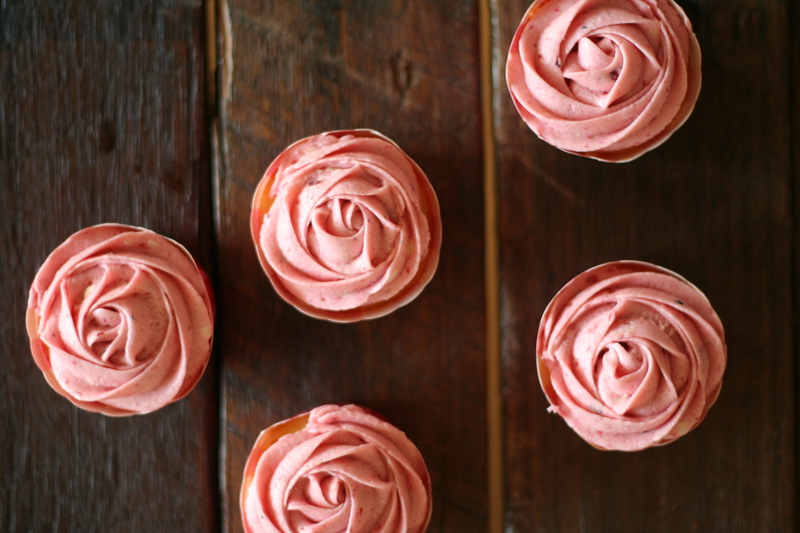 These look pretty and pretty delicious! 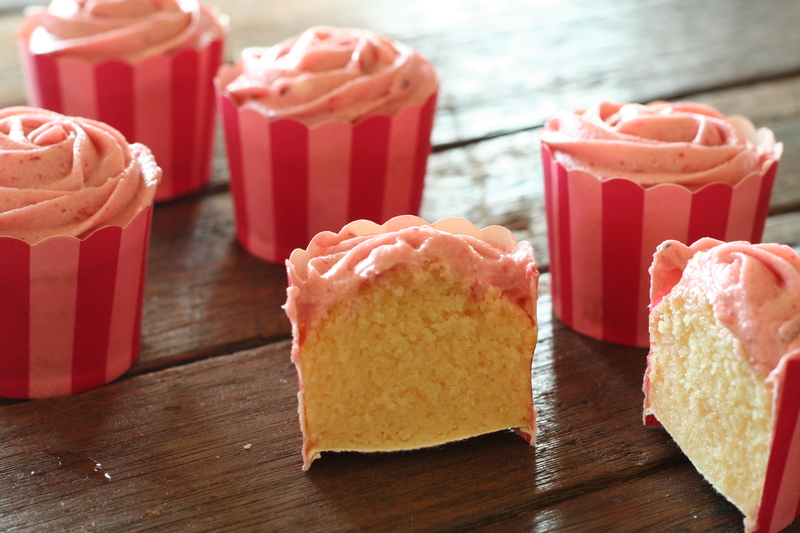 Are these the best cupcakes in the world? I certainly think so. this looks great! Is there any way to turn this into a layer cake recipe? I am looking for something with two layers and 9 inches. Does anyone know what the conversion would be? Hey Daniela, I’m sure it wouldn’t be too tricky to make it into a layer cake. I haven’t personally tried to but the recipe does make a decent amount of batter. You could use 2 x 9 inch pans or one high pan and slice it in half afterwards. 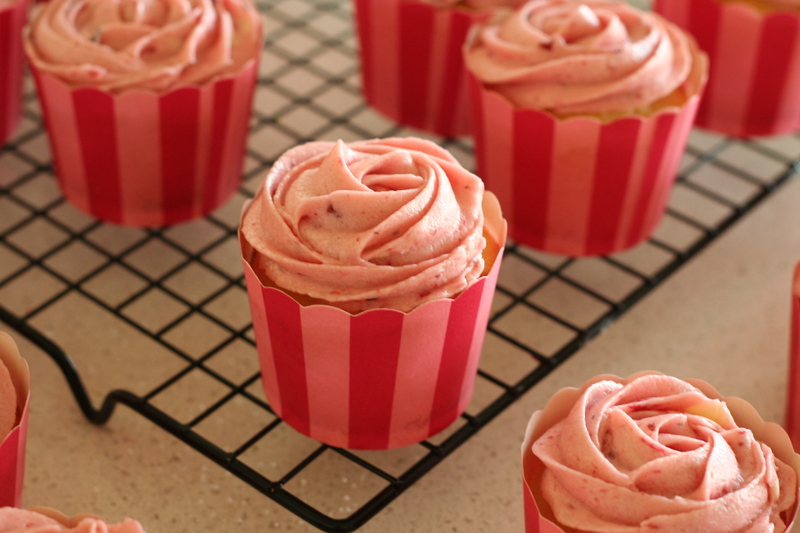 I love the berry icing- I will definitely have to try it for myself! Beautiful! the photos are great and it looks so good! Thanks so much for stopping by my blog so that I found yours. Your pictures are beautiful! I look forward to seeing future posts and also going through your archives to see what yummy things I’ve missed.